Rain early...then remaining cloudy with showers overnight. Thunder possible. Low 52F. Winds WSW at 5 to 10 mph. Chance of rain 90%.. Rain early...then remaining cloudy with showers overnight. Thunder possible. Low 52F. Winds WSW at 5 to 10 mph. Chance of rain 90%. As the pastor of Trinity Lutheran Church, Hermiston, I have the honor and privilege of officiating at many weddings. A greater honor and privilege for me is to work with the engaged couple as they prepare for a lifelong marriage. We discuss many items such as communication skills, conflict resolution skills, basic finance/budgeting and spiritual matters. However, I believe that the two most important components of this marriage preparation work which will help lead to a joyful and peace filled marriage, is to learn about love and forgiveness from a Biblical perspective. Certainly those engaged to be married have deep emotional attraction and affection toward one another which we call love. But from a Biblical perspective, love is much more than just emotions or deep feelings. Love from a Biblical perspective is a verb. It is an action, a behavior. The word for this is ‘agape’. It essentially means doing something for another that benefits them without regard to cost of benefit to self. The Apostle Paul said that husbands should love their wives as Christ loved the Church, laying down his life for her. Jesus said, “No one has greater love than this, that they would lay down their life for another.” So if husbands and wives would daily love one another by doing something for their spouse that benefits them without regard to the cost or benefit to themselves, their marriage would be much richer, more joyful and filled with peace. This is certainly a wonderful practice to cultivate in every marriage. The second practice I discuss with engaged couples is that of forgiveness. From a Biblical perspective, forgiveness is to release the other, the offending party, from any and all obligation to make it right. For example, if someone owes me some money, when I forgive them the debt, I release them from the debt, from the obligation of paying back the money owed. This is what God has done when Jesus went to the cross. The debt or obligation for sin against God is death. Paul wrote, “The wages of sin is death.” Therefore, in the death of Jesus on the cross, a payment has been made for our debt of sin. Jesus did this freely for our benefit. As a result, we are called to freely forgive one another out of a sense of gratitude asking no payment or restitution be made. Husbands and wives who release one another from any and all obligation to make right the offense, the debt, find that their marriage is greatly enhanced, enriched, and peace-filled. Like love, forgiveness takes hard work and practice. It never means that the offense was ‘okay’ or that the pain and hurt are automatically healed. But the one doing the forgiving is released from any bitterness and feelings of vengeance, etc. These emotions can eat away at a person. Forgiveness is the beginning of healing of the one offended and healing of the relationship. Love and forgiveness from a Biblical perspective are not only helpful in marriages, they are helpful in any relationship. Love and forgiveness enrich and deepen relationships between family members, friends, co-workers, and neighbors. I encourage you to reflect upon these things and try being a more loving and more forgiving person in all your relationships. I think if you do, you will find yourself more at peace and find days filled with more joy. Rev. 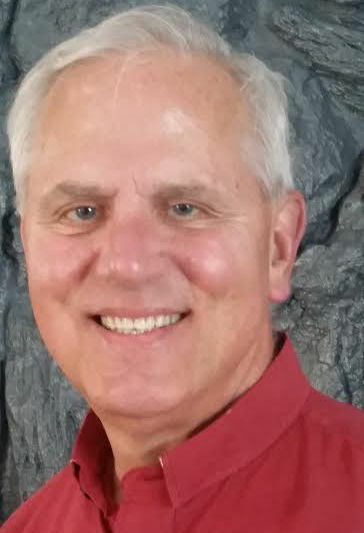 Rodney Mruk is reverend of Trinity Lutheran Church in Hermiston.